Capture your customer through suggestive product placement. Position easy grab-n-go candies next to greeting cards and special occasion gift bags, ribbons and tissue. Up-selling your customer from the single card, to a multi-item purchase of a card, candy, gift bag and tissue! Select from our Clipper Collection and Spinner Racks. Increase your sell-through with customer convenience. Today’s busy consumers purchase out of ease and speed. Showcase higher priced products such as; cold remedies, lip balms and teas next to lower priced essentials like Kleenex. Our free-standing, clear plastic, dividable bins offered in two sizes, alone or, customize presentation by Mix & Matching Our Components with Plastic or Wire Trays, or Hook & Rotors. our Full View Merchandiser Collection, specially designed to house live load liquids, whether in cans, bottles, pouches or boxes. A last note when planning your cross-selling presentation; put yourself in your customer’s position of being inundated with work, children and commitments that drain their energy. Seeing a presentation that is thought-worthy and convenient, invites the consumer to engage, and ultimately buy. 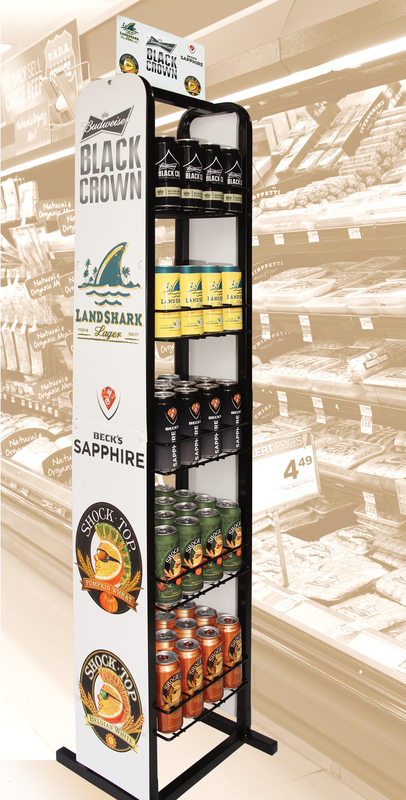 The opportunities are endless, just as the combinations of stock and modified stock components we offer as Merchandising Solutions that will fulfill your needs. If you do not see that special merchandiser call today and we will be happy to assist you.